In the absence of a new global promotion, Marriott Rewards is sending most – but not all – members a targeted offer for the next couple of months. If you didn’t receive one, you may be opted out of emails or it may have gone into spam. Log into the Marriott website here, click on the down arrow next to your name in the top right corner and then click on Promotions. If you have an offer it will show. My offer was double points on stays of 2+ nights until 30th April. Whether your particular offer is attractive will depend partly on whether you are driven by the need for points or elite night credits. Some are very good, especially for anyone lucky enough to be offered 22,500 bonus points – which I’d value at £110+ – for two stays. If you didn’t get an email, take a look at the Marriott website and log in. Remember that you must register for your offer. It is not automatic. If you do a lot of Marriott stays, don’t forget that you will earn double points (6 Marriott points per £1) on the Starwood Preferred Guest American Express card when you use it to pay for Marriott stays until 31st December. There is also a sign-up bonus of 30,000 Marriott points. Radisson Rewards, the programme for Radisson Blu / RED / Collection, Park Inn and Park Plaza, has revealed its 2019 category changes. These apply for redemption bookings from 1st March. I reviewed the Park Inn Southend-on-Sea here and the hotel website is here. 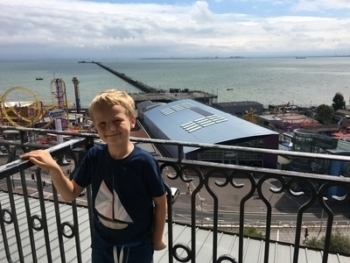 By the standards of UK seaside hotels it is more than decent with a great location overlooking the sea, and my kids loved it. The picture below shows my son on our room balcony. The full list of changes is on the Radisson Rewards website here. Whilst it shouldn’t impact many HFP readers, it is worth knowing – as a sign of the parlous state of European aviation – that Berlin-based airline Germania filed for bankruptcy on Monday. Originally a charter airline, it had moved heavily into scheduled services in recent years. Whilst it did not fly to the UK, you may have seen or even flown on one of its aircraft last year as British Airways was using the airline to operate some BA flights from Gatwick over the Summer. Finally, if you are taking a Virgin Atlantic flight during February, there is a profile of Head for Points in the current issue of in-flight magazine Vera. Start reading from the back as it is virtually the last thing in it! Hi. I am Marriott platinum elite and stay at a Marriott every week though haven’t had a mail about an offer and just checked on the app and no new promotions are showing for me.. is anyone else in a similar position? The majority of us judging by most of the comments! OT – Does anybody know if it’s possible to redeem on LATAM from Santiago to Easter Island? The cash prices are insane (as expected). Nothing is showing up on BA.com, perhaps this is a phone and book scenario? Theoretically possible but unlikely. I did it as part of a OneWorld round the world ticket using Star Alliance miles to fill in the bit from Tahiti to Auckland. Yes you can, but availability comes and goes, if you check on a daily basis, you may be lucky. I’ve never seen anyone get a redemption for that. Are you using the LATAM UK site? They are way cheaper on the a Chile site. Bits OT – some chat on LL about IHG Ambassador only offering the standard $200 new-user sign up option for those trying to renew just now (ie no $150 or $200 w/15k and 10% rebate options). Hopefully just a temp glitch but would be disappointed if this was a long-term change. Sounds promising – may have just been a website glitch. Have an Amex Plat and trying to refer someone for a BAPP – Amex seems to have closed this loop as I can only see other MR cards in the ‘Other Cards’ section. Does anyone know of a workaround? Is this a permanent thing? If so would be quite bad news…. I can still see all the cards in a referral from my Gold account and succesfully referred my wife for SPG yesterday. Worked. Had to use a different browser (was trying incognito with Chrome but it wasn’t enough). Working for me, just click on the big f’off “Other Cards” button, I took Harry’s advice and did a self referral for SPG from Amex Plat while it’s open still. Wonder if there was a spike in SPG applications yesterday on the back of that post?! Also on Halifax, some got 12% but with same maximum saving. Am I correct that even on BA Economy Basic tariffs in Europe I can select a seat in advance if I am on a Bronze tier? (Sorry for double-posting and thank you marcw for replying yesterday, just want extra-confirmation if possible). Yes, but only 7 days in advance, not at time of booking as for gold and silver. My Marriott Promotions consist of a picture of hot air balloons.. and diddly squat. That’s all I am getting. Hot air balloons. and no promotions. OT When waiting 6 months for Amex churn is it the cancellation date + 183 days? Don’t want to mess up the bonus. 6 calendar months +1 day. I usually leave it a couple extra of days to be certain. EG if cancel 6th Feb you can reapply to get another bonus on 7th August but I often leave it until the 8th or 9th. I received over 10k HH points for a one night stay that was £110 total spend, which struck me as far too many points even with my bonuses and promotions. Investigation showed 5k extra points were awarded, and described as Visa platinum introductory stay, or some such. This makes no sense to me as not only did I pay by Amex, but I don’t even hold any Visa credit cards. I have Visa debit cards that sit in my safe and only used once in a blue moon to withdraw cash from a machine, so I can’t imagine I should have received these points and wonder if Hilton have accidentally put all users on this promotion…not that I can see any relevant promotions. Anybody know if people are getting this visa platinum bonus for multiple stays or one stay only? This stay was last weekend, and my most recent one prior to it was early January & didn’t get it. My next stay won’t be for a couple of weeks. Shame there are no 5k hotels here to test your idea on as I’d try it right now just for the night credit. Most of the comments over the last few days refer to stays last weekend IIRC. I had two stays in the past week, the first posted the Visa Platinum bonus (was a reward stay), the second didn’t. Wasn’t expecting them, so was a nice 5k bonus. I often find Hilton posting random bonus points, which is nice. OT – It appears that e-rewards have been dropped as an Avios partner. Logging into my account it appears that they have converted my Aer Lingus avios e-rewards account to a BA Exec Club one, which is fine as I was just transfering the points over to BA anyway, however major issue is that the maximum monthly award is 1000 BA Avios for 3,500 points rather than 2000 Avios for 6,500 points. No comments on the Radisson changes? Walsall was only 9000 points a couple of years ago and I am not sure that it is really worth 15 000 points, certainly not 28 000, which is a huge leap. Same goes for the other Birmingham area hotel. I guess I have a couple of weeks to use my 30 000 before they become pretty much worhless. Time to dump the scheme once I have found a use for the points, I think! Stay at any of our 6,700 participating hotels and resorts worldwide now through (I assume that they mean until?) 30/04/2019. 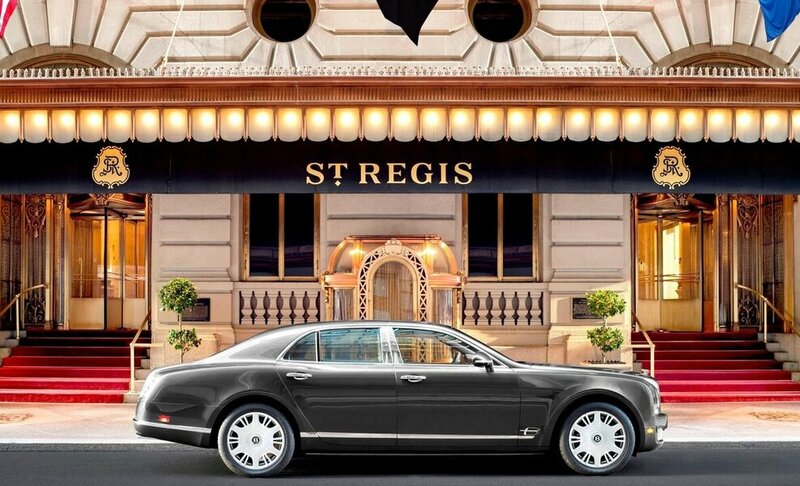 Get 7,500 bonus points after one stay and 15,000 additional points after your second stay. Just completed a three night points+cash stay. I now have 3 nights showing on my a/c, but it also says 0 points credited. Is this normal for Marriott points+cash stays? I just got a targeted email from SPG, double elite nights on all eligible nights from the date after you register until 30 April. So maybe these offers are slowly making their way out.